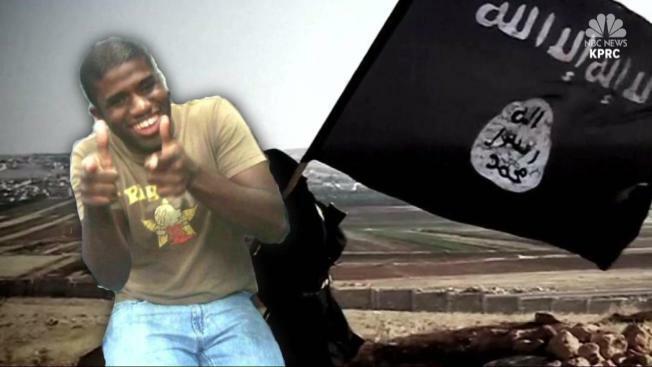 "I am looking to get a position teaching English to students in the Islamic State"
A Texas man applied to work for ISIS by sending his resume before traveling overseas to join the terrorist organization, investigators say. Warren Clark, 33, comes from a military family and graduated from the University of Houston in 2008 with a bachelor's degree in political science. In a cover letter that was found in Iraq by the Program On Extremism at George Washington University, Clark wrote, "I am looking to get a position teaching English to students in the Islamic State. I was born and raised in the United States and have always loved teaching others and learning from others as well." NBC News reported the resume attached to the cover letter included an email address, education credentials, and work experience, and the researchers with the Program On Extremism were able to determine that Abu Muhammad was Clark. Clark signed the cover letter with the pseudonym "Abu Muhammad". People in his home town of Sugar Land onder what would drive a young American to make such a drastic move. "It's a shame," Jesus Moreno said. "Especially the threat that ISIS becomes for the entire world and especially the United States being a No. 1 target for that organization." Neighbors said they have not seen Clark in several years and that his family rarely talks about him.